AC Odyssey Legacy of The First Blade Endings - Can You Avoid The Baby? 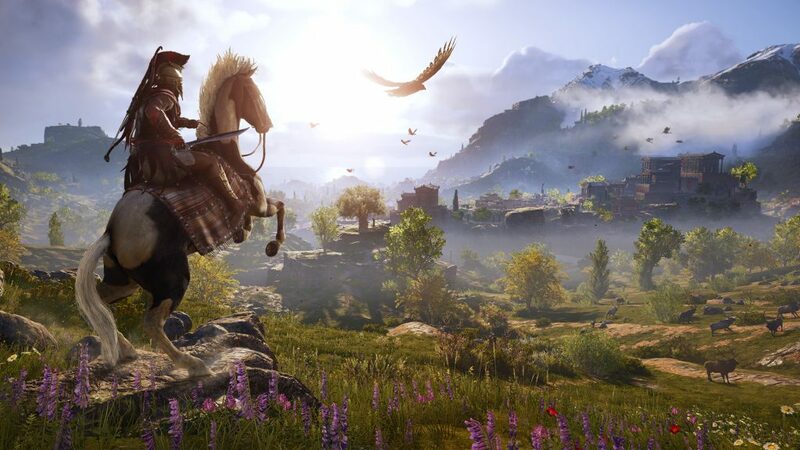 Home » Assassin's Creed Odyssey » AC Odyssey Legacy of The First Blade Endings – Can You Avoid The Baby? Legacy of The First Blade is a story DLC for Assassin’s Creed Odyssey. The second episode has been released today, and it is where the story of the hidden blade’s beginnings ends. There are two endings for the DLC, and some players are wondering what happens when you choose each of them. This guide will show you what happens in both AC Odyssey Legacy of the First Blade endings, and whether you can avoid having a baby. When you reach the end, you’ll get two options – to settle down and leave the life of a mysthios behind you, or to say your goodbyes and go on to have numerous new adventures. The thing is, no matter what you choose, you’ll end up starting a family with Natakas or Neema. You will have the baby no matter what. Even if you choose not to romance Darius’ progeny when the chance presented itself, you’ll still get the same outcome. There are some subtle differences in the endings, but it still amounts to the same thing. A lot of players are up in arms about this – mostly those who’ve bought the season pass and now feel cheated after the promise of being able to shape their adventures how they choose. Some feel that this ending not only invalidates their choices in the DLC, but those they’ve made in the base game as well. Anyone who decided their Alexios/Kassandra is gay, for instance, feels betrayed by this mandatory straight romance. Anyone who wanted them to keep on being a badass warrior instead of an olive farmer, as well. There’s a slight chance that Ubisoft will patch this out and allow you to actually choose how your story ends, if the outcry continues being as loud as it is now, but don’t hold your breath. We’ll update this guide if they do, so stay tuned.